Description: 1994. Softcover (Spiral Bound). Fair Condition/No Dust Jacket. Very noticeable staining/grubbiness to closed page block and lower corner of rear cover but this doesn't intrude into the book's contents, slight waviness to pages, light wear and markings to covers. Brief pencilled notes on a small number of pages. 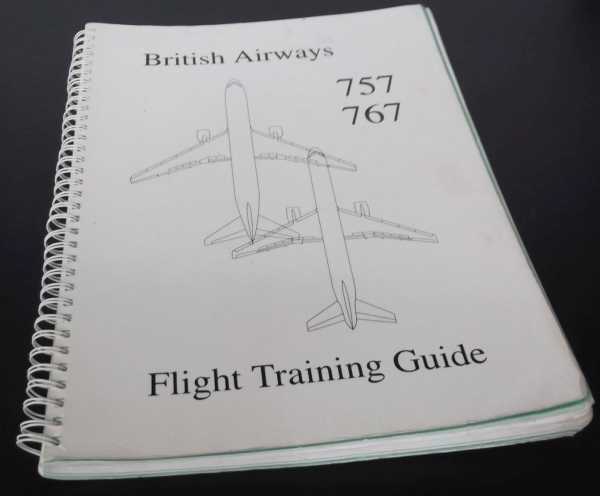 Issued to pilots converting to the 757/767 Fleet to provide guidance for Conversion, Differences, ETOPS and Command Training. Quantity Available: 1. Pictures of this item not already displayed here available upon request. Inventory No: dscf7064.